Showing off one of the two amazing diaper bags I got at my baby shower. I love this adorable Kate Spade one that my grandparents gave me! It's a perfect size and has so many useful pockets. Cute! 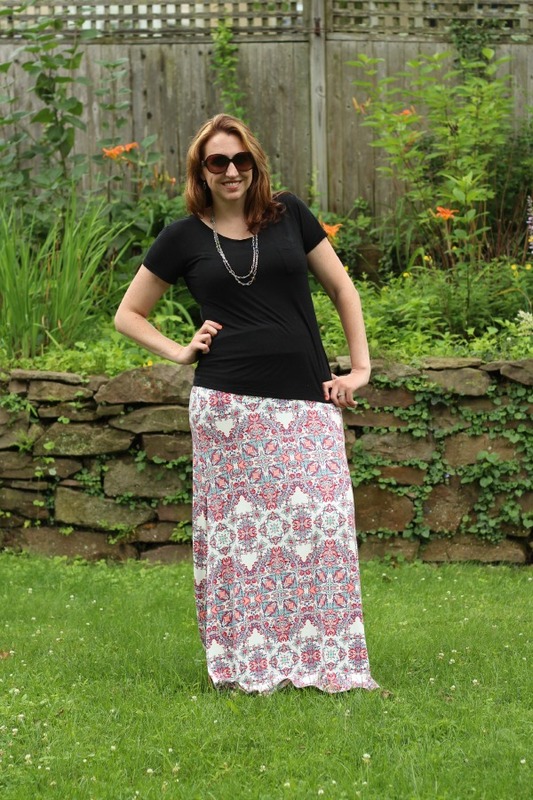 SUch a fun pattern on your skirt!